Everyone who is associated with the musical instruments, vocals, and simply a lover of singing knows that the sound quality depends on how good the audio signal is applied, and not only on the quality of the equipment. 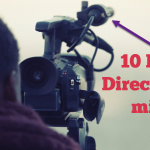 Even a very expensive professional equipment in the low signal will not be able to show its capabilities to the full, it is necessary to keep in mind when selecting a cable for the microphone. In any case, the microphone cable should be of high quality; only, in this case, the sound is good. 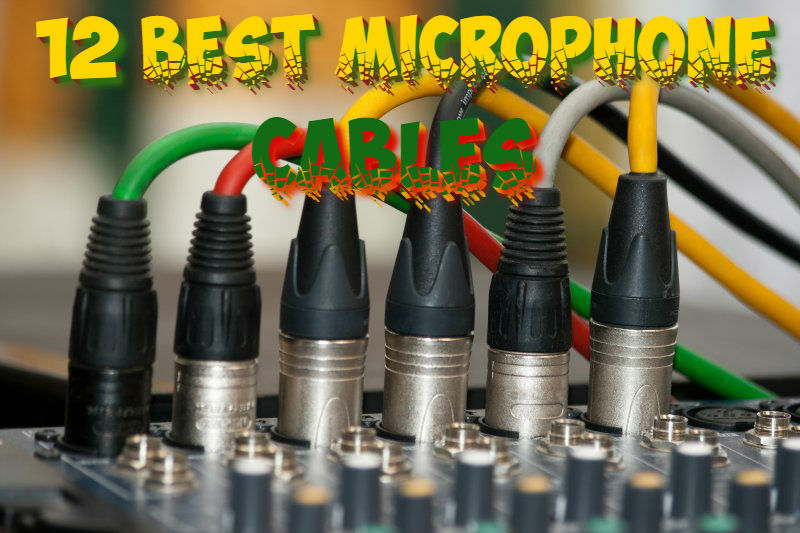 But how to choose the right cable for the microphone, if there is a great variety on offer. 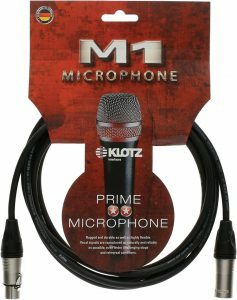 KLOTZ M1K1FM0300 M1 is a ready microphone cable on the basis of MY206. 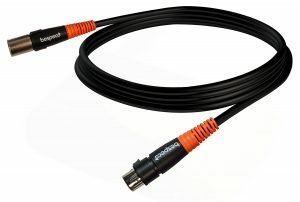 Switching of cable connectors: Klotz XLR (F) – XLR (M), the cable length is 3 m, the cable color is black. Buying musical instruments, microphones, sound sets, mixers and other audio equipment it is important to take care of high-quality switching of all components that guarantee a good connection, clean, constant audio signal transmission and power supply (optional with some models). The robust cable design and connectors ensure high quality of the connection and the stable communication between all components. The ready microphone cable KLOTZ M1K1FM0300 M1 guarantees high quality and reliability throughout the operating time. Cables for microphones by American Stage Series are developed using the high-precision technology and assembled with the highest quality at the company in Farmingdale, NY. For the basis used cables of the premium “audiophile” quality, manufactured in the United States, they are added by the high-quality connectors of the Neutrik production, which uses the aerospace technology of the crimp connectors. This unique technology of the development and production allows creating the cables with characteristics surpassing the wildest requests of the users and which ensure the brightness of the sound instrument or voice, as well as the unmatched clarity, natural and realistic sound. The microphone cables of Planet Waves American Stage Series have characteristics which are superior to the requirements of guitarists and provide the necessary quality and reliability in all situations. 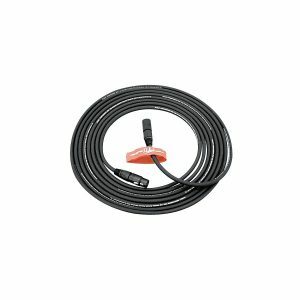 10-foot cable (3 m) is ideal for short connections in the home studios or on small stages. Connectors: XLR – XLR jack. Length: 10 feet (3 m). The conductors of the twisted pairs of OFC 22 gauge to ensure the optimum quality of a signal transmission and flexibility. Screening 98% copper braid protects against electromagnetic interference. Neutrik connectors are released, integrated into an exclusive design of Planet Waves. Double insulation and shielding for highest signal purity. Exclusive drenched connectors of PLANET WAVES provide additional protection and a fine return of the deformation. Connector type: male XLR/female XLR. Length, m: 3.048 (10 feet). Audio cable with Monster quality at an affordable price. The robust design, amazing flexibility, reinforced connectors with color-coding. The monster cable is for the monster musicians. heavy-duty braided copper screen for the excellent protection against noise. The microphone cable of the length 30 ft, XLR connectors male-female with gold plated contacts. Durable nylon outer braid does not get entangled and provides the lack of noise during connection and disconnection. Corrosion-resistant 24K gold-plated connectors for better conductivity. The dual screen of a copper braid with 97% coverage and with a carbon-fiber insulator ensures no interference and noise. Symmetrical MultiTwist ™ wire design with a balanced impedance for the best signal transmission and protection against noise. The inner insulator of MicroFiber® for fast transients, maximum transparency, intelligibility and sound brightness. Technology Time Correct® for 3-band correction of the signal transmission time. Monster Cable – is a recognized world leader in the production of ready-made professional tools and microphone cables. With the cables of Monster Company, the world-famous recording studios are equipped. They are used by the monsters of the world music industry, Slash, Kerry King, Zakk Wylde, Flea, and many others. The Monster microphone cables are designed for high-precision transmission of a frequency band, and all the nuances of the singer voice. 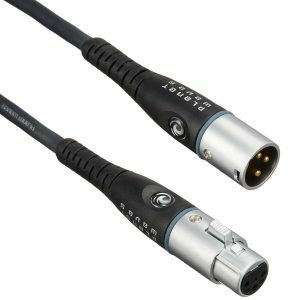 This microphone cable has a length of 15.2 m (50 ft.), XLR connectors male-female with the gold plated contacts. The connectors are reinforced that provides the cable strength. 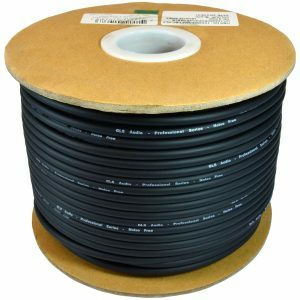 The cable has a shell that guarantees flexibility and durability. The carbon-polymer shield around conductor helps to avoid mechanical noises. The new line of SILOS cords from Bespeco is designed for fast, easy and high-quality connection of any equipment. No matter what you want to connect – a guitar, a microphone, or a computer, SILOS cables provide the most reliable and high-quality connection. Bespeco brand products proven themselves among musicians, offering a first-class range of cables, with excellent value for money. Regardless of the requirements for the type of connection of your equipment, you will be able to easily and quickly implement it with cords SILOS series. The microphone cable XLR-XLR of the length of 20 feet. 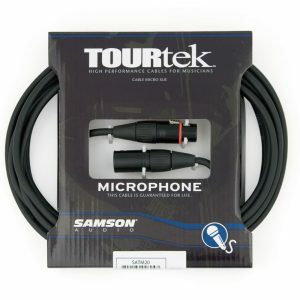 Tourtek type cables are designed for those musicians who value the excellent sound quality and good reliability. All this can be achieved by combining high-quality cable components and original connectors such as the Neutrik, the significant role also plays the robust assembly design. 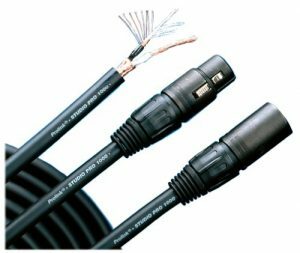 The microphone cable has two 24GA stranded inner conductors, wrapped in a copper shield and covered with a PVC protective sheath of a thickness of 6 mm. This design ensures the highest audio quality and the excellent protection against interference. The cable has a different length for easy use. Connectors: XLR Neutrik. 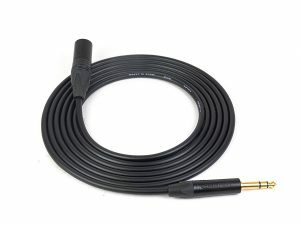 This microphone cable has been developed for use in the process of recording when there is the need of a very important parameter such as the reliability of the recorded signal. Special materials of own production and original methods of execution make this cable particularly indispensable in the digital recording. The balanced quad-structure prevents electromagnetic interference arising under the influence of the nearby appliances, for instance, lighting. Thus, this microphone cable can be used in the television studios and filming. Conductor insulation is due to the presence of XLPE (polyethylene), which has the excellent electrical characteristics and prevents shrinkage during soldering. 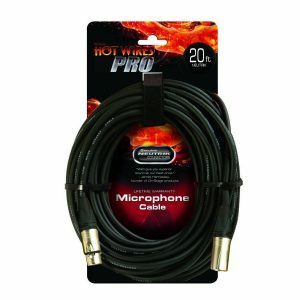 Microphone cables of Hot Wires Pro series have the Neutrik connectors that provide cable durability and lack of noise, which is important both on stage and in the studio. Sami twisted wires made of 99.99% copper, have 22awg caliber. Braided shielding of the 98% area of covering provides protection from radio interference and electromagnetic interference. 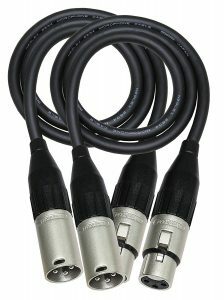 Connectors: Neutrik XLR “mom” – Neutrik XLR “Dad”. Braided copper shield with 98% coverage. The caliber of conductors: 22 AWG. This is a 4-conductor shielded cable. A distinctive feature of this series is an effective reduction of the noise levels (up to 10-fold) compared to the standard 2-wire cables. Screen: braid> 94% provides continuous protection against electromagnetic interference. Jacket: PVC brown, red, orange, yellow, green, blue, pink, gray, white or black. The cable is for the work with all standard audio applications. Used in a studio, and on stage for connecting microphones, audio components and interconnects power amplifiers. Suitable for the use indoors and outdoors. Superior flexibility makes this cable ideal for concerts and press conferences. Very dense screen covers up to 94% or more of the area guides, providing protection against electromagnetic noise. L-4E6S contains 40 very fine woven wires of 0.08 mm in diameter, which provides the superior strength of the cable. Copper braided shield retains its properties regardless of how many times the cable is unwound, bent or twisted. 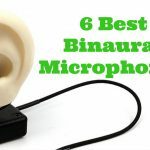 It is ideal for the use as a portable microphone cable or connector. The manufacture of the screen for this cable, providing good protection and flexibility – is a technologically complicated process. Soldered ends of the cable are needed to be seasonally tested. GLS Audio Company presents a professional series of cables Noise Free Mic. The main feature of this microphone cable is the presence of a stout, elastic, rubber shell of high quality. The cable features dual insulated copper conductors, as well as a spiral copper screen. This type of cable is characterized as a duty Noise Free “True Balanced LO-Z” cable. Excellent for the use in a studio, DJ, Pro Sound. 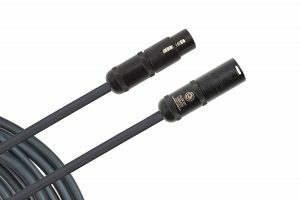 This special microphone bulk cable from the company Monoprice will help to create your own customer balanced mono and unbalanced stereo patch cables. 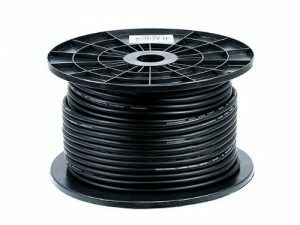 The Monoprice cable characterized by having two 16AWG high-purity, oxygen-free copper conductors, a braided copper screen with 97.5% coverage, and a grounding conductor. Each conductor has color PVC shell.